a quick hello and a very simple recipe for a great roasted tomatillo salsa. stop by later this week for a great machaca taco recipe . 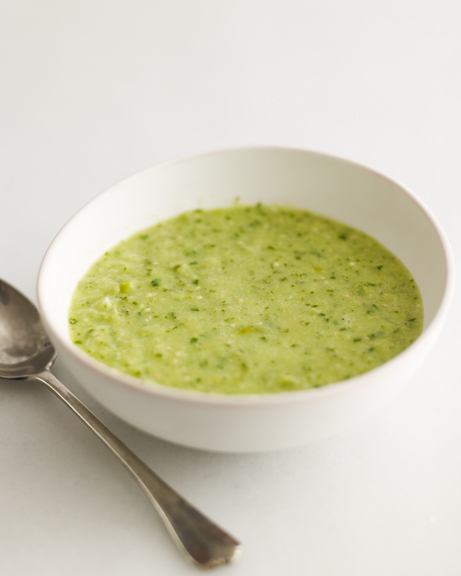 . . a perfect place to use this not too spicy tangy green sauce! it's also great on huevos rancheros, yum. the green market this weekend was in full autumn mode and has inspired lots of cooking on our few and far between days off. we've been working on loads of fun projects lately and can't wait to share some new tears. (like the thanksgiving desserts spread i styled in the new EDRR - pick it up!) remember when we made homemade worcestershire here? well, we were making bloody marys with our friend dimity recently and it inspired her to post this. we celebrated our 4th wedding anniversary last week but still haven't gone out to dinner to celebrate - any suggestions for a fun new spot in nyc? happy monday! preheat oven to 400 degrees F. toss onion, jalapenos, tomatillos, garlic, olive oil, salt and pepper together on a large baking sheet. roast for 15 to 20 minutes or until softened and lightly charred. transfer to a blender with lime juice and cilantro and blend until combined and smooth with a few chunks remaining. serve warm or room temperature & enjoy! I am trying to only eat food that will lower my cholesterol. This sounds like the perfect compromise between crazy healthy and actually being tasty! Thanks!